The e-book “Light pollution – A Global Discussion” is available online and free of charge at www.lightpollutiondiscussion.net (published Dec. 2018), publication details and PDF download also at ufz.de. The e-book presents three expert group discussions and the results of an online expert survey. The expert responses from around the world address crucial questions of light pollution mitigation. Discussion #1: How can dark skies be protected in the long run? Discussion #2: What color temperatures should we choose for street lighting? Discussion #3: Do we want hard law for commercial lighting? When does artificial lighting become pollution? Where do lighting interests clash? How can light pollution be tackled? Screenshots of the survey pages (PDF), based on the SoSci Survey tool. Variables (PDF): provided by SoSci Survey, renamed by UFZ. For further data requests, please contact nona.schulte-roemer@ufz.de. Light pollution – a global public concern? ‘Light pollution’ can be described as the inappropriate or excessive use of artificial light at night (see darksky.org). In recent years, public concern about the environmental and health effects of light pollution has increased, particularly in North America, Europe and some Asian cities. "The non-visual impacts of light at all hours can affect our mood, behaviour and our circadian rhythm", writes LUCI, a global network of cities for expert exchange on urban lighting. These concerns are intensified by scientific insights about the negative ecological effects of light emissions on wildlife and the introduction of LED lighting, which can be bright and disturbing. So far, light pollution has been discussed mainly as a problem of industrialized countries, where illumination levels are already high. Yet, light levels are increasing rapidly in developing countries as light poverty is being combatted. 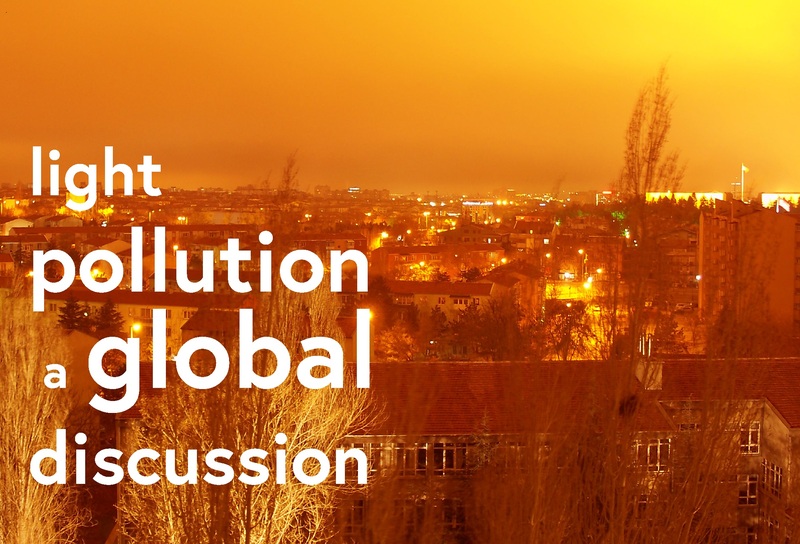 The project "Light Pollution - A Global Discussion" is based on the assumption that an international expert exchange can be an instructive and constructive contribution to existing debates and controversies over light pollution. It explores the roles of lighting specifiers, researchers, activists, politicians and other experts and actors within the public realm. The project brings together opinions and knowledge from many different countries in order to learn from dark places as well as very dynamic lighting developments. Dannemann, Etta (2016): Vom Prozess zum Produkt - verändert die LED den Entscheidungsprozess der Planer? In: Dennis Köhler (Hrsg.). LED 2016 - Beiträge zur Anwendung. Lichtforum NRW: Heidelberg. Meier, Josiane: Temporal Profiles of Urban Lighting: Proposal for a research design and first results from three sites in Berlin. In: International Journal of Sustainable Lighting. Vol 20 No1 (2018). 11-28. Schulte-Römer, N. (2015). Innovating in public. The introduction of LED lighting in Berlin and Lyon. (Doctoral thesis), Technical University Berlin. http://dx.doi.org/10.14279/depositonce-4908.